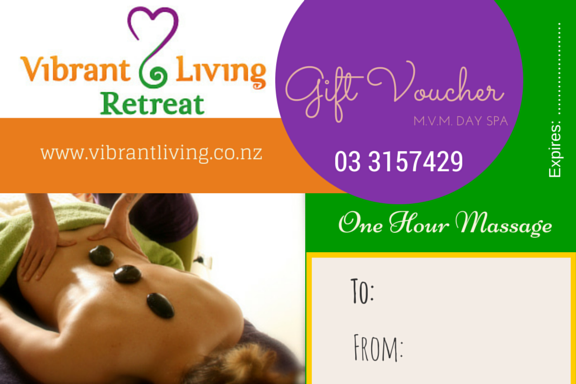 You can purchase special gift vouchers for all occasions from us at Vibrant Living Retreat & Mountain View Massage Day Spa in Hanmer Springs. Just let us know what it is you want and we can make up the most perfect voucher with your personalised message. Vouchers can be purchases for a $$$ amount also and put towards any of our well being services. 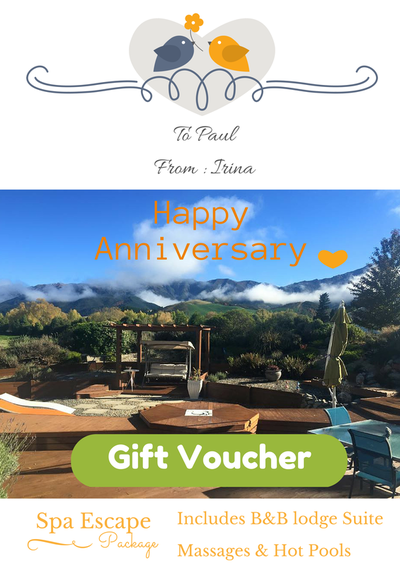 Here are a few gift voucher ideas that are popular. How do I receive my voucher once I purchase it ? We can email this to you in a PDF format or post it to your address. Email Vouchers are edited with personalised information or can be completed after printed. Please click on the arrow to the right to see more examples of our email template vouchers.